The latest addition! 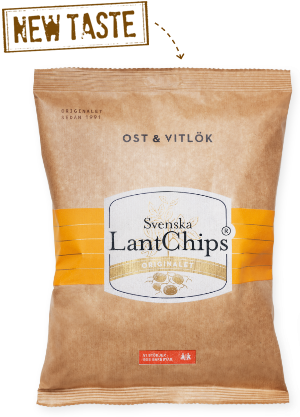 We welcome LantChips Ost & vitlök (“Cheese & Garlic”) to our range. Do share your best recommendations on Instagram, tag them with #crisptips and @svenskalantchipscrisps. Which is your best flavour combination?